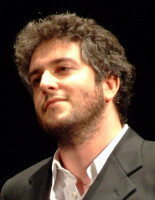 Fabio Guidetti studied art history, ancient history and classics at the Scuola Normale Superiore, Pisa, where he received his doctorate in June 2011. In the following years he continued working there as a member of the Certissima Signa research group directed by Dr. Anna Santoni, specialising on the interaction between texts and images in ancient astronomical manuscripts. He was Affiliated Fellow of the American Academy in Rome from 2008 to 2009, “Giorgio Pasquali” Fellow at the Scuola Normale Superiore from 2012-2013 and “Frances A. Yates” Fellow at the Warburg Institute, London in 2014. He has published on a wide variety of subjects relating to Graeco-Roman civilization: social and cultural history, religion, literary and visual culture, as well as the reception of the ancient world. At Topoi, he works on the manuscript transmission of Aratus’ Phaenomena and its Latin translation, with the aim of better understanding the appropriation and transformations of Graeco-Roman astronomical knowledge from Late Antiquity into the Middle Ages.